Okay, yes, you caught me. I’m having a Golden Frog, and Italian-ing it in name. I’m apologize, but I just returned from Italy (or maybe I’m on my way back still, sometimes when traveling and taking time away it’s nearly dreamlike, and time does strange things to you, especially in Umbria I believe, when you’re on a hillside and the sun in bright and the air is crisp and you have a drink of vodka, Galliano, Strega, and lemon juice, and everything is so gold, gold, gold), and am craving a little more Italian vacation in my day, and so here I am with a La Rana d’Oro and you’re hassling me about the name? You probably won’t get one, then. 1. Fill a cocktail shaker halfway up with ice cubes. 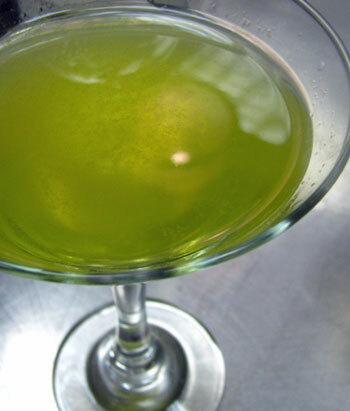 Add the vodka, Galliano, Strega, and lemon juice. Shake well. 2. Strain through a fine strainer into a cocktail glass. Serve in an Italian manner. If you’ve forgotten (though how could you, marketing being the horror that it is), tomorrow is Halloween! I’m guessing you have your costume set, but what about your drink? If not, then remember the Warlock! It has brandy, Strega, limoncello, orange juice, and Peychaud’s bitters. It will, when consumed, turn you into a zombie magician as the below video shows. But hey, it’s Halloween, that’s what you want! Hey, look at that – Halloween is just days away! You know what Halloween means, right? Beyond candy stomach aches for kids, dentists cackling with joy, neat decorations, music that goes bump in the night, and Indian food (at my house, at least), that is? That’s right, it’s Warlock time. 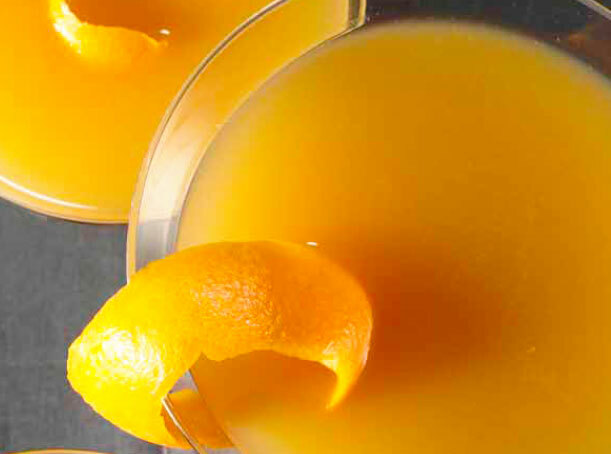 The Warlock is of course a non-spooky drink of brandy, Strega, limoncello, orange juice, and Peychaud’s bitters that when consumed turns one into an unworldly sorcerer. Check out the below video for proof, or I’ll come haunt you! Vodka has gone from over-rated to under-rated. Due to an over-abundance of flavorless vodkas enjoyed more for their lack of character than taste, and then an over-abundance of drinks made with them during the dark days (like, the 80s and 90s) of drinking, vodka got a bad – if, perhaps, deserved – rap. But here’s the thing: there are plenty of good vodkas today, which bring flavor and personality to the party. I didn’t know, however, that one was made in Italy! 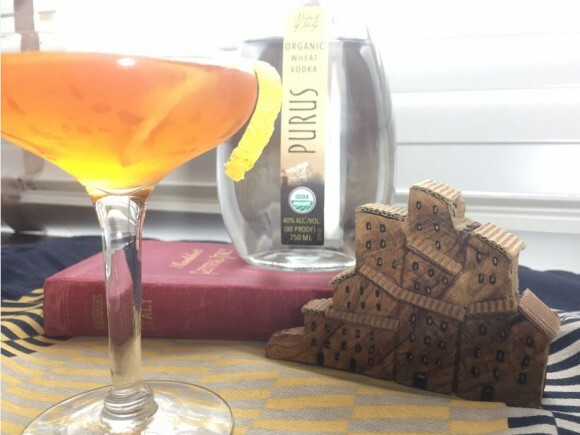 Until recently, that is, when I received a bottle of Purus organic vodka in the mail (I know, I know, lucky me). Made from Italian grain and water from the Italian Alps, up in northern Italy’s Piedmont region, it felt on first glance – no, on first hearing about it – that the vodka was made for me. Though admittedly I used to live in Central Italy, but hey, it’s ITALY! And it’s made by the Sacchetto family. Who I don’t know, but c’mon, they sound awesome – and they placed their vodka, certified GMP free and organic by the USDA, in a curvingly artistic bottle that’s lovely and recyclable, as is the bottle top. So, with all that I say they’re an awesome family. Well, that and from this vodka, which not only sounds good, but is good. It’s clean and bright, with a lush slightly sweet essence mingled with notes of peach and plum and good grain and the Italian springtime. It’s that kind of tipple. If you don’t believe me, it’s won a bunch of awards, too, picked by famous people. It’s dandy solo, over an ice cube or two. I liked a twist of lemon with it, too, as it balances a bit. 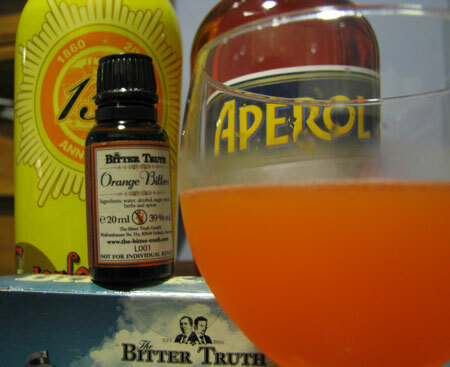 It’s also a willing and able contributor to cocktails, including this one, where I bring two other Italian favs, Strega and Aperol, into the mix, and a little lemon. I’ll probably have another drink up here with it before long, as well, so don’t be a stranger. 1. Fill a cocktail shaker halfway full with ice cubes. Add everything but the twist. Shake well in an Italian manner. 2. Strain through a fine strainer into a cocktail glass. Garnish with the twist. And a toast. While some may think of Thanksgiving’s upcoming table as an enchanted field of food, well, I understand where you’re coming from, but we haven’t gotten there yet, food-loving friends. So, instead, have this Enchanted Field now, and then that one later. Really, we all may need enchantments now, or now and then, but especially now. I’m typing a little bit like I’m enchanted, and maybe in a field, too, at the moment. 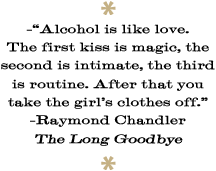 But hey, you have a couple of these, see how it goes – you’ll want to type enchantingly your own self. 1. Fill a cocktail shaker halfway full with ice cubes. Add the rye, orange juice, Strega, and simple syrup. Shake enchantedly. 2. Strain into a cocktail glass. Twist the orange twist clockwise over the drink, then let it sink in. Well, it’s nearly Halloween, and that means it’s time for one of the traditions here at Spiked Punch, the one where I drink a Warlock cocktail and turn into a zombie magician of sorts. Oh, the Warlock is a good drink, too, well worthy of your spooky celebrations, with brandy, Strega, limoncello, orange juice, and Peychaud’s bitters. I can’t wait to drink it, consequences be darned. You should take the same stance this October. This is the day before Halloween, Halloween, Halloween, everybody make a Warlock, drink it down till the neighbors gonna die of delight; it’s your drink, everybody scream, on the day before Halloween. Okay, as you know, every year near Halloween I do three things – sing the above song, have a Warlock (made with brandy, Strega, limoncello, orange juice, and Peychaud’s bitters), and turn into a zombie magician. This year is no different. I’m heading out to Italy again for a little vacation, and as usual when I start thinking every hour of every day about Italy (as opposed to just every day), I start thinking about when we lived in Italy, and the drinks I made and had when there. Yeah, I know, it’s a hard-a-knock life. To make up for all my musing about it, try the below drink. It’s freaky-delicious. If you can’t go on an Italian vacation this second, this’ll at least help cure a teeny bit of the ache. 1. Fill a cocktail shaker halfway full with ice cubes. Add the Aperol, orange juice, Strega, and bitters. Shake well. 2. Strain through a fine strainer into a cocktails glass, or a pretty wine glass if that’s what’s handy.